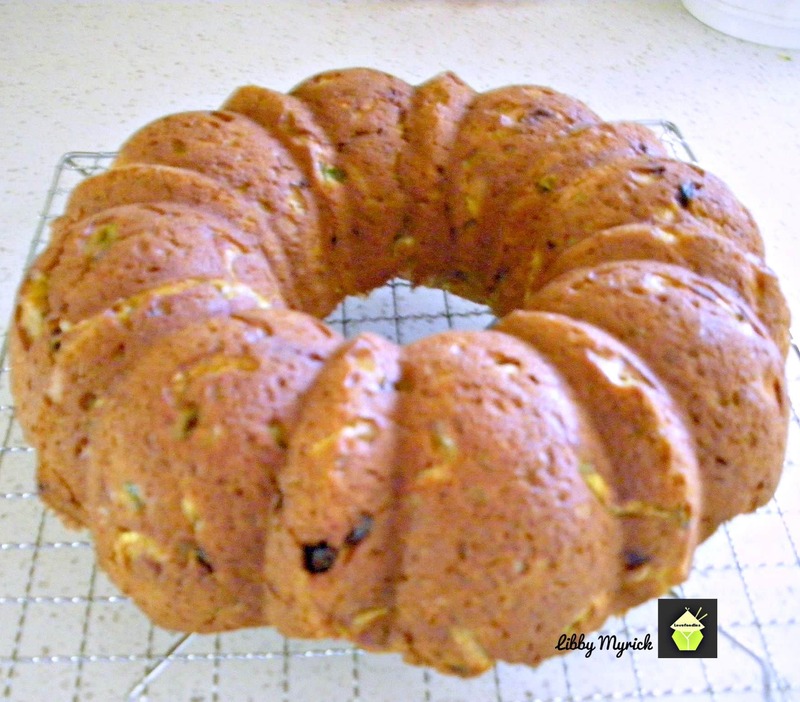 Pumpkin Zucchini Bread, An easy recipe with fabulous aromas and great tasting. 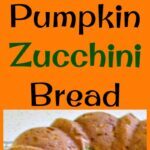 Freezer friendly and a perfect way to enjoy zucchini! 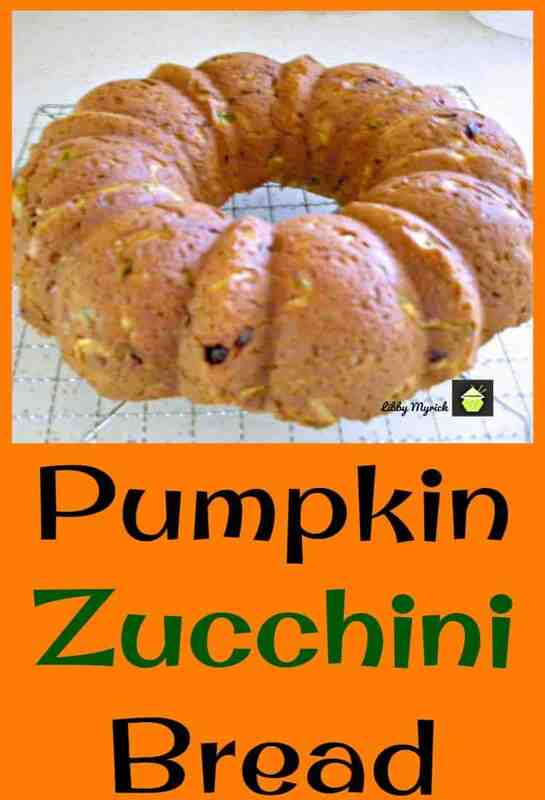 Pumpkin Zucchini Bread, what a lovely easy recipe we have for you! This recipe is a family favorite and you just have to close your eyes and imagine the aroma when this is baking in the oven with all the lovely spices of cinnamon, nutmeg, cloves and ginger. Ahhhh delicious! 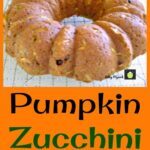 Most if not all the ingredients for this pumpkin zucchini bread you will likely have in your store cupboard, you just need to get some fresh zucchini, unless you’re very organised and happen to have some shredded zucchini saved in the freezer! This cake is perfect served as it is with a lovely cup of tea. However, if you wanted to make a quick glaze to go on the top, feel free to! 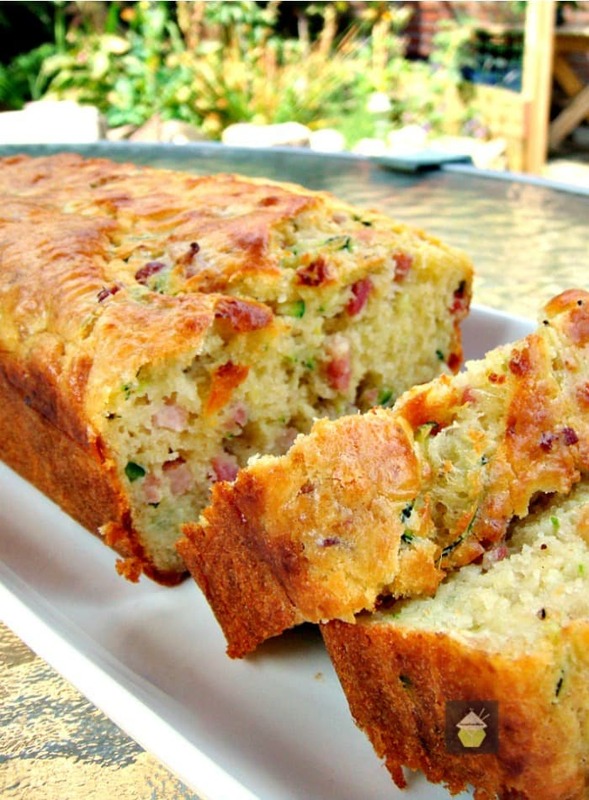 You can bake this and cut into slices and freeze if you are baking for yourself or the two of you. Then simply get a couple of slices out of the freezer to defrost and you can enjoy whenever you like! We’ve had feedback from many who have tried this pumpkin zucchini bread and the reviews have all been wonderful so thank you to everyone who’s told us how you’ve enjoyed the recipe.Some of you made it to take to a Church coffee morning, some for potlucks, some for Mother’s Day, some just to have at home, the list is endless! 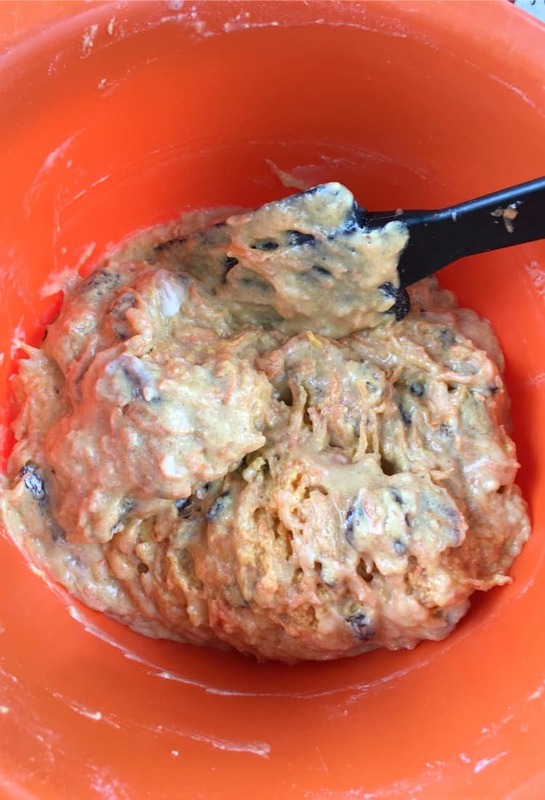 This Pumpkin Zucchini Bread has been generously shared by Libby Myrick. It’s become a family favourite and the recipe was adapted from Organic Gardening . 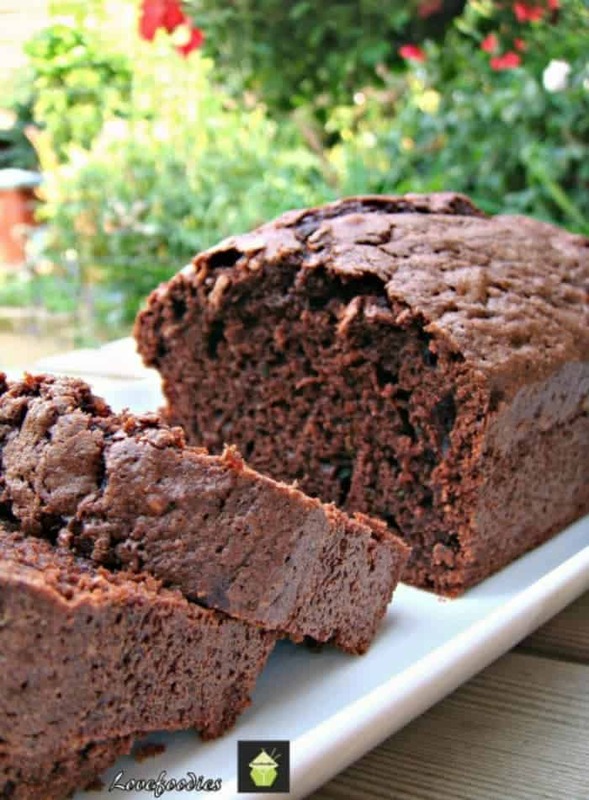 Libby has changed quite a few ingredients from the original recipe to suit her family’s taste and it certainly is delicious and moist. It’s certainly a lovely cake, full of all the goodies you would expect in a cake, perfect for Fall, with wonderful aromas and tastes of the spices as it’s baking! 1. Preheat the oven to 350 F. Grease a Bundt or 9-inch loaf pan. 2. In a bowl, add the flour, cinnamon, nutmeg, ginger, cloves, salt, baking powder, and baking soda and combine. 3. 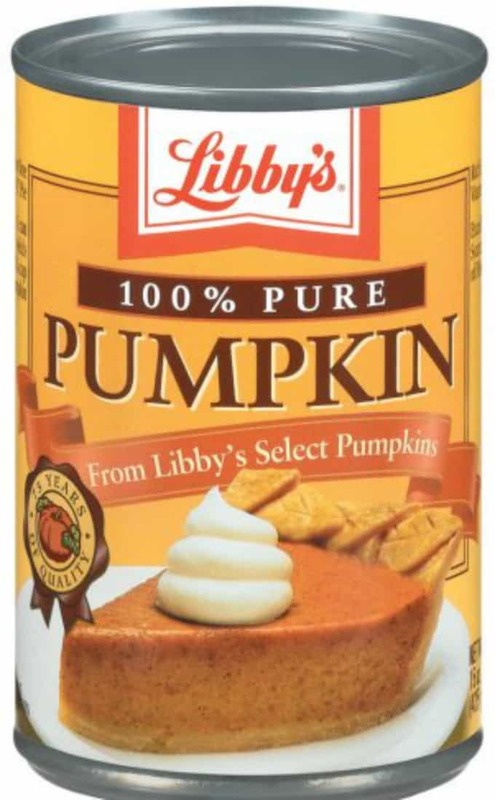 In a separate bowl, whisk the eggs, pumpkin, brown sugar, butter, and vanilla until light and fluffy. Stir in the shredded zucchini. Then transfer this batter to the flour mixture and stir until everything is combined. Fold in the raisins. 4. Pour into the baking pan. Bake for 60 to 70 minutes or until a toothpick inserted in the centre comes out clean. Allow to cool in the pan for 10 minutes then turn out onto a cooling rack to completely cool. ** Please note, cook time for Bundt pan will be around 60 minutes and for the 9-inch loaf pan, around 1 hr 10 minutes. Always check after 1 hr for doneness as all ovens are different. To prevent a dense cake you must use LOOSELY measured flour. Any recipe should be loosely measured flour not just scooped out of the can. Better yet measure after sifting. I also used two heaping cups of shredded zucchini. Yes you need the moisture from the zucchini! Always cream sugar into softened butter anytime you bake! I use a stand mixer to cream butter and sugar. Then add eggs and then rest of wet ingredients. Mix dry in a separate bowl. Then add slowly to mixer while mixing on low. It had plenty of flavor. Not too sweet. I don’t like sickening sweet cakes! Must always measure brown sugar by packing it tight into the measuring cup. DO NOT OVER BAKE! Mine came out moist and delicious. Didn’t use raisins. I threw in a handful of unsweetened coconut, as we love coconut! I made this tonight- it came out very dense. I think 3 cups of flour was too much flour because once I added the wet ingredients to the flour, it became clear the batter was going to be thick and not like a batter to pour. But I scooped out enough of the mixture ( consistency was like thick mashed potatoes) and spread it as evenly as I could in my bunt pan, it baked in an hour after pulling out a clean wood skewer. It baked evenly- to my surprise. I really thought it was going to be a throw away, fortunately it wasn’t! I think I will add a sugar glaze to sweeten it. It has a slightly overly flour taste but not enough to not enjoy. Texture wasn’t too bad either, soft, cake like, moist. I added walnuts instead of raisins. I’m going to bring it to work to see if co- workers like it. My boyfriend enjoyed it. Yeah, have to agree that the recipe leaves a lot to be desired. 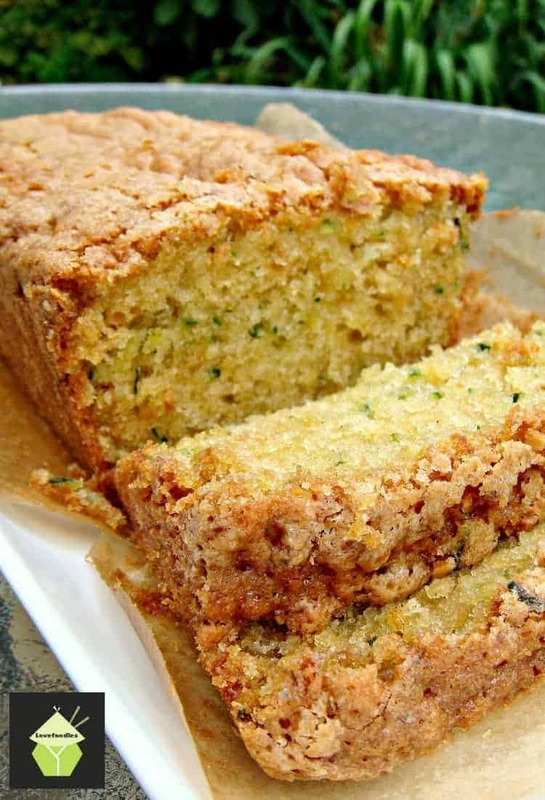 Most zucchini bread recipes say to squeeze the water from shredded zucchini. Yours didn’t mention this. Three cups of flour is a lot for one bread. I’m guessing that’s why you don’t mention squeezing because you need the liquid for all that flour. I tried this recipe, but won’t try again. Bread not very tasty, dry, and too heavy. Hope the pigeons will eat it! Mine was in a buddy pan over an hour and it still looked like raw pumpkin. I don’t get it. I followed the instructions but still came out with a mess. I put it back in for 20 mins so we will see if that helps. This bread is a total disappointment. It lacks sweetness and flavor. It’s like the spices just disappeared! I’m going to make cream cheese frosting to serve with the bread, like a spread. I’ll probably try a different recipe next time that has a better sugar ratio, and oil instead of butter. Something just wasn’t right, and I followed the recipe exactly. For the pumpkin zucchini bread I used pumpkin pie spices instead of all the other spices , I used almost a tablespoon because i like this spice. This recipe has a ridiculous amount of ads. So many that, printing the printer friendly version is impossible on the iPhone. I hope the rewards of so many ads are worth it $$$. Because I wil avoid this waste of my time again, There is always a comparable recipe on similar sites. Hi there, if you scroll down to the end of the recipe you will see the recipe card with a print button. If you use that you will be able to print just the recipe alone with no photos nor ads. Hope that helps! Made this the other day and it had no taste at all. Followed the recipe exactly. Will not make again and I wouldn’t waste my time making it either. Unfortunately, basic tenants of baking are missing from these instructions. ALWAYS cream butter, add sugar, then eggs and finally other “wet” ingredients. Following the directions as written will result in globs of butter suspended in a goo of ingredients, never to incorporate. Yes you’re right! That is exactly what happened with my batter. Good advice! I did not compact the brown sugar, just lightly tapped it down. Even if I had, I think that this recipe needs more sugar as it just does not taste sweet like I would expect it to. *I did not have any raisins to add, so that could be part of the problem. Otherwise, the texture is good and my house smells great! I made this for the very first time today. I haven’t tasted it yet (probably won’t until tomorrow morning). The only issue I had during the process was the whisking of the eggs, etc. I tried hard, but the batter was never “light and fluffy”. I tried whisking it with my KitchenAid, but no change. So I just finished the recipe and baked it. It seemed to rise enough, and looks pretty good, though I needed to leave it inside the oven after I turned it off because the bread was still a bit like batter. After about 20 minutes I took it out and knife-tested, and it was done. I may add a new post tomorrow, after I taste it!! Absolutely delicious! 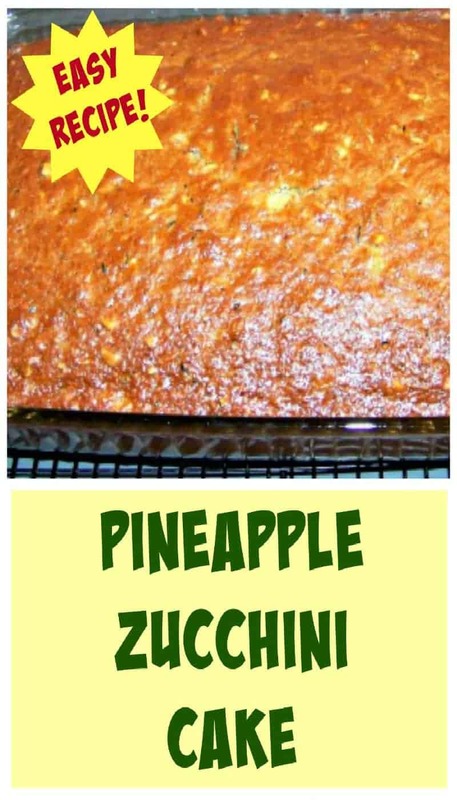 Easy to throw together, super moist and yummy!! How the world?! Mine wasn’t done! I used walnuts instead of raisins. Maybe try dried cranberries next! I doubled your recipe and baked a bundt pan AND loaf pan! (I wanted to freeze the one from the bundt pan for a future treat.) When my husband got home from work, he somehow talked me into letting him take a platter of slices to share at work the next day. Bye-bye bundt pan cake! I topped it with an orange glaze — so yummy! (1 C powdered sugar, 1 tsp orange zest, 2 Tbl fresh OJ) And, yes, my hubby was a huge hit at the office. This was a moist, delicious cake … so, so good. I will definitely bake this again. Thanks! That is so funny Debbi about your hubby!! Guess you’ll be making some more for your freezer (best hide it next time haha!) Your orange glaze sounds like a really good combination too. What a great idea! My daughter made this for our county fair and received a purple ribbon! She did replace the raisins with dried cranberries. I’m always looking for healthy recipes to make. Made this using whole wheat flour, light brown sugar, and cranraisins. Delicious!! I’m always looking for healthy recipes to make. Made thus for company I’m having tomorrow using whole wheat flour, light brown sugar and cranraisins. Delicious!! I’m always looking for healthy recipes to make. Made this for company I’m having tomorrow using whole wheat flour and cranraisins. Delicious! I made this using whole wheat all purpose flour and cranraisins. Delicious! I’m always looking for interesting breads to make as muffins. This recipe was this morning’s experiment. I use white whole wheat flour, unsweetened applesauce instead of the butter, only 1/2 the brown sugar, and 2 cups frozen blueberries instead of the raisins. Got 23 muffins from the batch, baked 18-20 minutes. Thank you so much for adding how you made your muffins and also the cook times for them. It’s always very helpful for others if they also want to try your muffins. I’m so happy they turned out lovely and you enjoyed them! I bet your kitchen must smell wonderful from the baking! Your substitutes sound very delicious, especially with those cranberries, please enjoy, and don’t forget to have a cup of tea too! What did I do wrong?? This was a dry as dust disaster that even my garbage disposal rejected. Not near enough liquid. I’m so sorry your bread turned out dry. Of course it shouldn’t have at all, particularly as there is 2 cups of shredded zucchini which does give a lot of moisture, in addition to the pumpkin puree. The only thing I can thin, assuming you used the correct ingredient quantities, is the oven was set too high, or it was baking for too long. This recipe has been made by many people, with no feedback on dryness, so I wonder if you could review the ingredients again and see if you used the same amounts and also the baking time. Please do let me know if you work out what the cause was. It says 1 cup, not a can. Mine was like play dough in the middle and very very bland. I’m so angry bc now I have nothing to munch as I’m trying desperately to gain weight! Thanks for a horrible recipe.